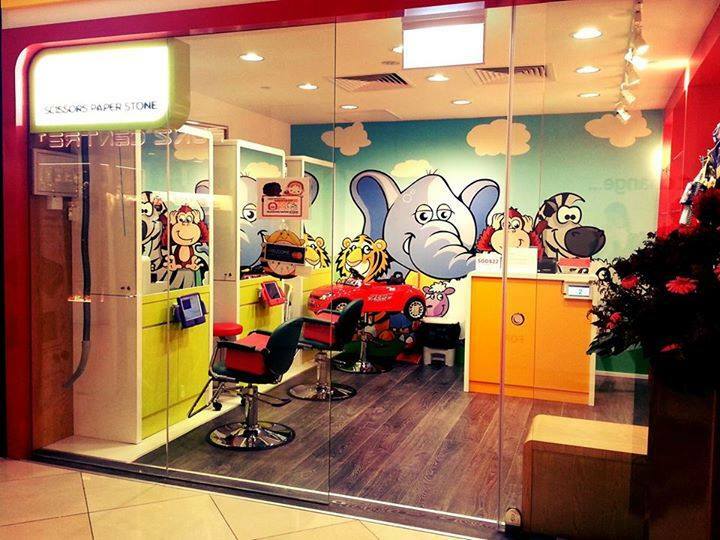 I had a really wow experience at Marina Square branch of Scissors Paper Stone Pte Ltd. I got queue number and received notification upon our turn and it took only 10 minutes. I was delighted to see that my Evangeline was provided with the option to sit on my lap or in the toy car. My little angel really enjoyed her time with the toy car. The haircut experience was very kid friendly and it took only 6.5 minutes. In a nutshell, I would sum up my experience as, "Tadah, the toot toot, I mean, cute hairstyle". I and my husband are really satisfied with efforts put by hairstylist and "I think she’s really good, 快而准, quick and precise. Fringe cut is only S$14, while the whole head is S$24." Thus, you might want to consider Scissors Paper Stone for your child’s haircut for Chinese New Year (CNY). Surcharge applies 15 days prior to CNY.